I believe that wedding photography is not just about having beautiful photos to remember your wedding day, but being able to remember exactly how they felt at that exact moment the photo was taken. Whether you're celebrating your very first wedding anniversary or your 50th, I want you to be able to flip through your wedding album and remember how happy your heart was at that moment. Maybe you were laughing so hard you snorted like a pig, or you had butterflies racing in your stomach as you were about to see the love of your life for the very first time on your wedding day. Your crisp, clean, candid photos will be treasured for generations to come. When you hire me as your wedding photographer, you can expect me to celebrate your love for one another just as much as your family and friends will. I work best with couples who trust my vision, expertise and are interested in building a relationship that goes beyond just hiring me to take photos at your wedding. Trust is key for a successful relationship between me and my clients. 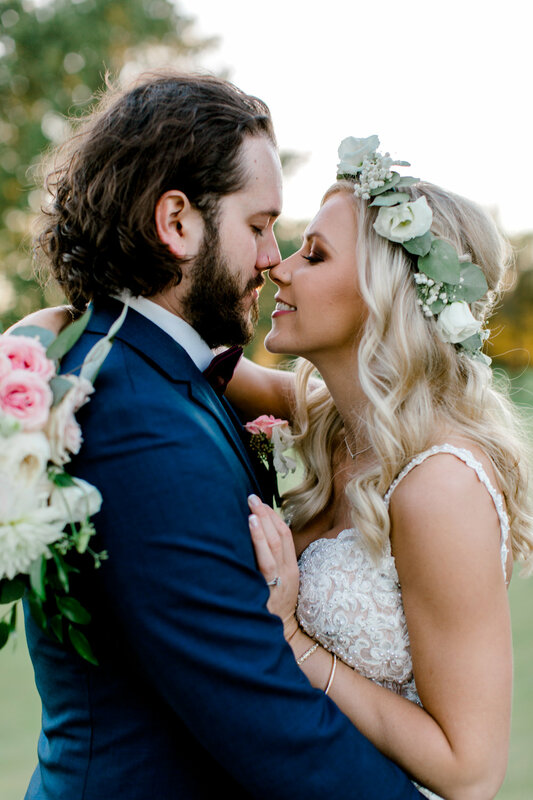 If you're totally down for your photographer being your biggest fan, pep-talker and personal cheerleader, all while capturing your love story just how it is meant to be told, we'd make a great fit! The way I approach capturing your wedding day is all about telling your story. I can guarantee you that some of your favorite photographs aren't your favorite because of how you look in the photo, but how you felt when the photo was taken. That's why I combine posed photography with prompts. I will get you into a position that looks great on camera and flatters your body, giving you as much (or as little guidance!) as you need. Then I talk and walk you through various prompts and games that are meant to get real and candid reactions out of you.